Young boys and old men the world over seem to have an affinity for wheels, but here in China they seem to revel a bit more in the diversity of vehicles available and the freedom that it affords them. 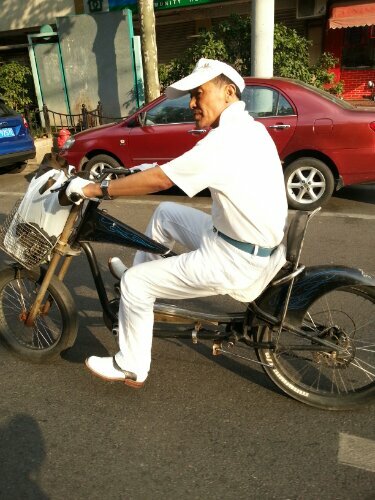 The above set of wheels is just one example of just how baller the bikes on the Mainland can be. 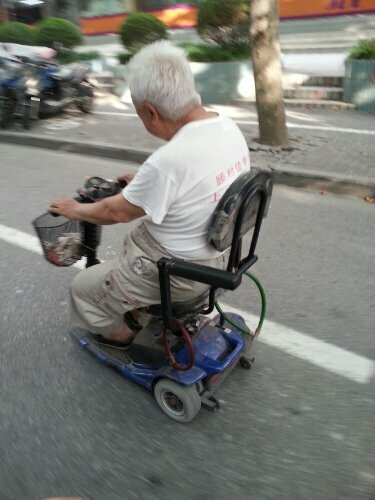 But it’s not only about aesthetics, especially for the more seasoned riders… Sometimes freedom is all the elderly Chinese truly want, and luckily for the senior citizens of Shanghai, scooter and bike lanes can also serve as wheelchair lanes. 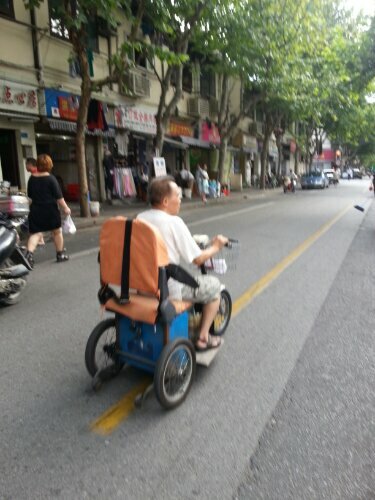 Or actual car lanes can be driven down (the wrong way) if an old person chooses to do so, because old people are the collective kings and queens of Shanghai’s Streets and it is their inalienable right to do whatever they want. And you best not play chicken with them cause they are senile as f*ck and will definitely run your a$$ over.